Deepali, one of the popular contestants of the recently ended Musical Reality, Indian Idol talks to Telly Buzz about her life post Indian Idol. The viewers' focus has surely shifted from Sony's Musical Reality Show, Indian Idol to the Hot Celebrities dancing on the stage of Sony's Jhalak Dikhhla Jaa. But have we left behind our fond memories of Indian Idol and moved ahead? Well Folks, moving on is a part of life, but here we are, presenting before you, a heart-to-heart talk with one of the most popular contestants of Indian Idol, Deepali. Life after Indian Idol: Life has changed completely; I am a different person altogether now. My personality has changed for the better, I am more confident. Socially, people have started recognizing us and they love us. So it is great. 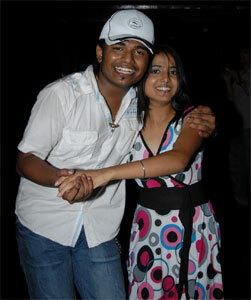 Your First Stint as a Playback Singer: I sang with Emon for Annu Malekji. I don’t remember the movie name, but it was a Shakti Productions banner. It was a soft romantic song. Your take on Annu Malek, the Music Director: We all thought that Annuji was very strict, but it was so nice working with him. He was like a father to me and Emon, we learnt a lot from him. Friends with all? : Yes, we are all in touch. We are contenders later, but firstly, we are friends..
Any new offers in the pipeline: We are doing many shows for the channel, but nothing more as a playback singer. Rocked the night after the finals, did you? : Yes, we all had a blast after the finals. We danced the whole night and had a blast. Your best ever Concert performance: It has to be the concert I did with Prashant in Nepal. 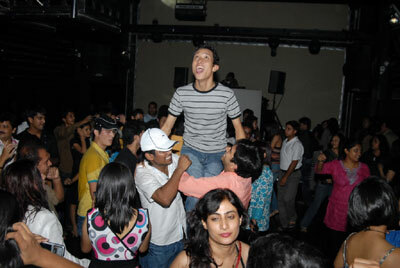 That was the best show, people there love Prashant a lot. It was raining badly, it was cold too, but all in the crowd danced their way thro’ the night and enjoyed. It was absolutely flashing, was a Hit Show. Shifting base to Mumbai? : I really don’t know. I want to shift, but if I do, I will have to come with my mom. I cannot imagine of staying alone. When we are busy with shows, it is fine. Otherwise, I am totally jobless, and it hurts being alone. Deepali, the Performer or the Singer: Deepali is a better performer now, after Indian Idol. But I can never compromise on my singing; I have always been like that. But now, I sing with lot of attitude that it really looks like a performance. This is a learning curve, so I am learning. Your Future Plans: I want to establish myself as a playback singer, but it is a very tough route ahead. You can see many struggling to reach there. I need to work hard on my voice and singing. I think I need to prepare even harder for the next few years to reach this level. Any Bollywood Aspirations: No, Deepali is better off as a singer. There are many who are more beautiful than me. As of now, I want to concentrate on singing.